A free gallery that seeks to preserve the sport's history and tradition with more than 1,500 artifacts including a handmade bow made by the Native American Apache leader Geronimo. A free museum that showcases the development and evolution of hunting arms in America from colonial times to today; home to the premier collection of sporting arms in the world. A 50,000-square foot education center home to The Wonders of the Ozarks Learning Facility (WOLF) School, a comprehensive outdoor learning school that serves as a national model for outdoor education. Elaborate banquet spaces for special events with a signature wilderness atmosphere. A full-service restaurant with a unique atmosphere inspired by American author and saltwater fishing legend Ernest Hemingway, an avid international sportsman and one of the pioneers of big game fishing. 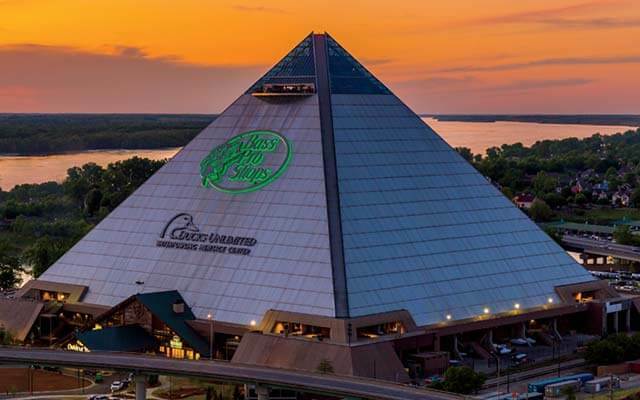 Bass Pro Shops at the iconic Memphis Pyramid stands more than 300 feet tall with a visitor observation deck at its apex. A wilderness hotel located inside the iconic Memphis Pyramid with 105 distinct wilderness-themed rooms and a fully-equipped fitness center and spa. 100-foot-tall trees and an 84,000-gallon alligator habitat. 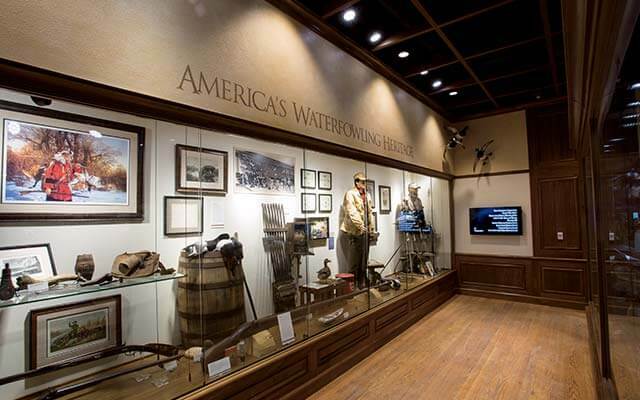 Features exhibits and artifacts that tell the history of wetlands, waterfowl hunting in North America and the important role sportsmen and women play in conserving our precious wildlife and habitat. A glass-floored cantilevering observation deck at the top of the 32-story steel Pyramid. Nautical-themed restaurant and bar with a saltwater aquarium and a 13-lane ocean-themed bowling alley. In 1978, Bass Pro Shops founder and CEO Johnny Morris revolutionized the marine industry when he introduced the world's first professionally rigged and nationally marketed boat, motor and trailer packages. Tracker® Boats quickly became and has remained the number one selling fishing boat brand in America. Located in the heart of Missouri's Ozark Mountains, Big Cedar Lodge is America's premier wilderness resort. 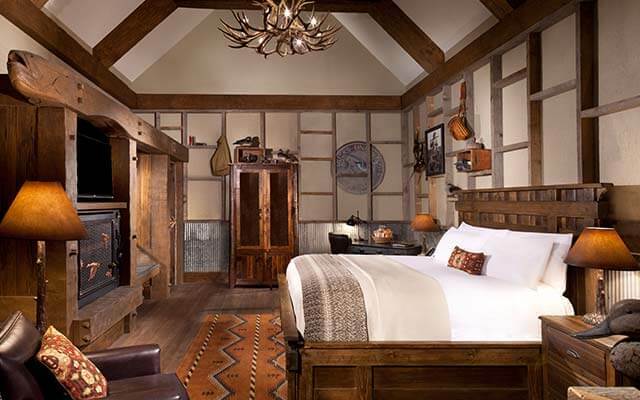 Inspired by the passion of Bass Pro Shops founder Johnny Morris to connect kids and families to the outdoors, the 4,600-acre lakeside retreat features a variety of nature-based experiences including fishing, boating, hiking, spa and wellness offerings. Signature attractions include Top of the Rock, home to world-class golf, dining and entertainment; and Dogwood Canyon Nature Park, a 10,000-acre nonprofit wildlife preserve. Named "Number One Resort in the Midwest" by the readers of Travel + Leisure, the resort offers genuine Ozarks hospitality and a convenient location just south of Branson. The resort and related properties welcomes more than one million guests annually. Guided by the visionary leadership of our founder and CEO Johnny Morris, Bass Pro Shops is making a significant impact on the future of conservation. Ever since Johnny began connecting people with nature through a tiny bait shop in the early 1970s, we continue inspiring everyone to enjoy, love and conserve the great outdoors. "The people of our company believe very strongly that the future of our industry, the sports we serve and the sports we personally enjoy are absolutely more dependent upon our conservation efforts or how we manage our natural resources than anything else. It is far more important than any catalog we mail, any new store we open, or any new products our vendors create." Key conservation initiatives include protecting wildlife and habitat, connecting kids and families to the outdoors and protecting sportsmen's rights through access and advocacy efforts. Together with thousands of passionate associates and 120 million annual customers, we're making a big impact. Founder/CEO Johnny Morris launched The George H.W. Bush Vamos A Pescar Education Fund to bring more conservation, education, fishing and boating opportunities to Hispanic families with continued support from Bass Pro Shops. 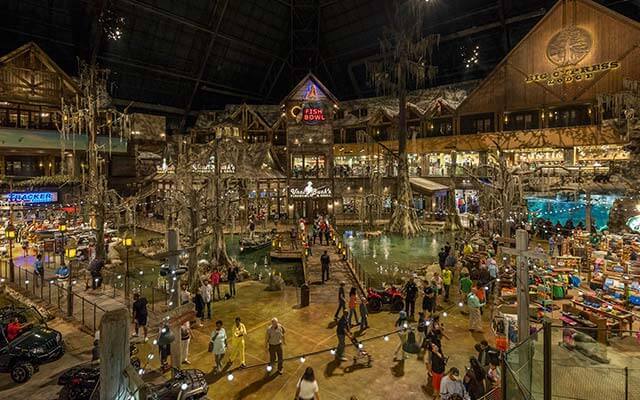 More than 100,000 kids catch a fish at Bass Pro Shops-sponsored events each year. We're helping to foster the next generation of outdoor stewards. We partner with more than a dozen leading conservation organizations including Ducks Unlimited, National Wild Turkey Federation, Rocky Mountain Elk Foundation and the Quality Deer Management Association to advance key conservation programs and initiatives. Bass Pro Shops supports our partners by hosting conservation events that raise millions of dollars, participating in education and promoting conservation through outreach and high-profile sponsorship opportunities. Bass Pro Shops co-founded the National Fish Habitat Partnership. Since 2007, the partnership has completed nearly 600 projects spanning all 50 states, restoring nearly 27,000 acres and 1,560 miles of river ways. We play an active role in the communities we serve by partnering with local conservation organizations, assisting in disaster relief efforts and supporting our military and veterans. 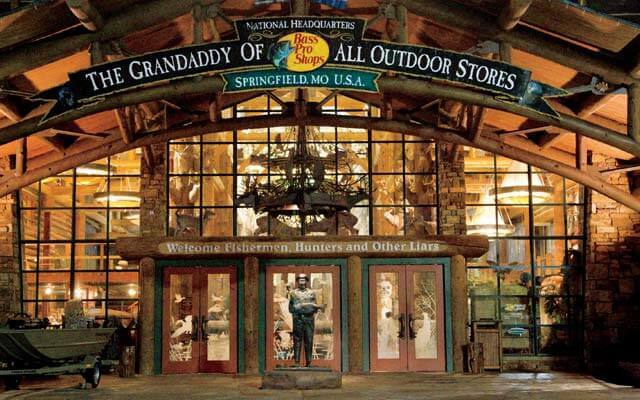 In the last five years, Bass Pro Shops has donated more than 300,000 products to youth-focused nonprofit organizations like Boys & Girls Clubs of America and Boy Scouts of America. We proudly honor brave servicemen and women every day by offering a Legendary Salute discount program, donating millions to AmVets and USO and supporting more than a dozen local veterans groups. We actively recruit veterans to join our team, with thousands of armed services veterans on our workforce. 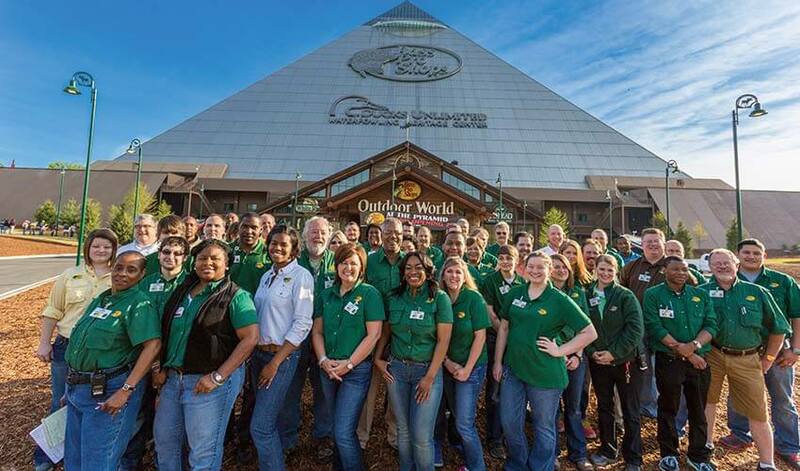 Our associates are the heart and soul of Bass Pro Shops. We work together based on the essential values of respect, teamwork, quality and ingenuity to create extraordinary experiences for our customers and guests. We support each other when disaster or personal hardship strikes through the Bass Pro Cares Fund. 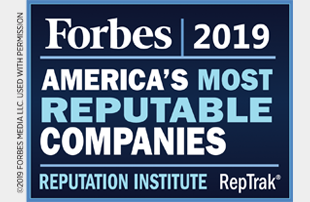 As a result, we have been voted by Forbes as one of America's Best Employers and one of America's Most Reputable Companies.